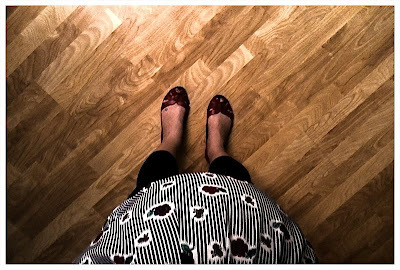 This morning D had a class for work so I got ready for the day to the sounds of Mates of State and Tokyo Police Club, then headed out to grab an iced chai..
Then decided to start hanging a few things and decorating a bit. 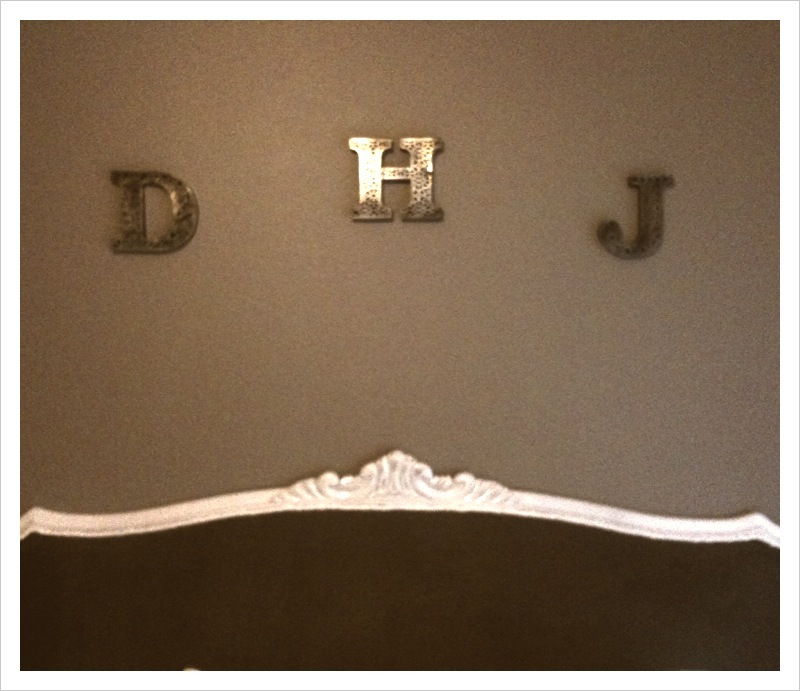 I dug out these letters we had in the old apartment and finally put them above our headboard. Once D got home we put up our new wall decals. I love them. 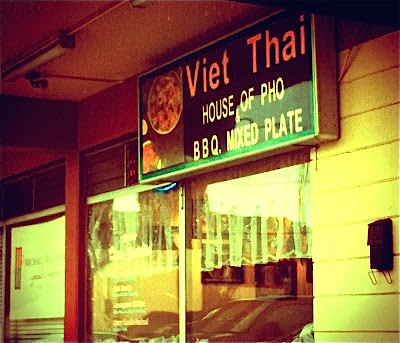 I started getting grumpy because I was hot and hungry so we got some Thai take out. All my troubles melted away.. Thai Iced Teas are heaven sent. your place is super cute. 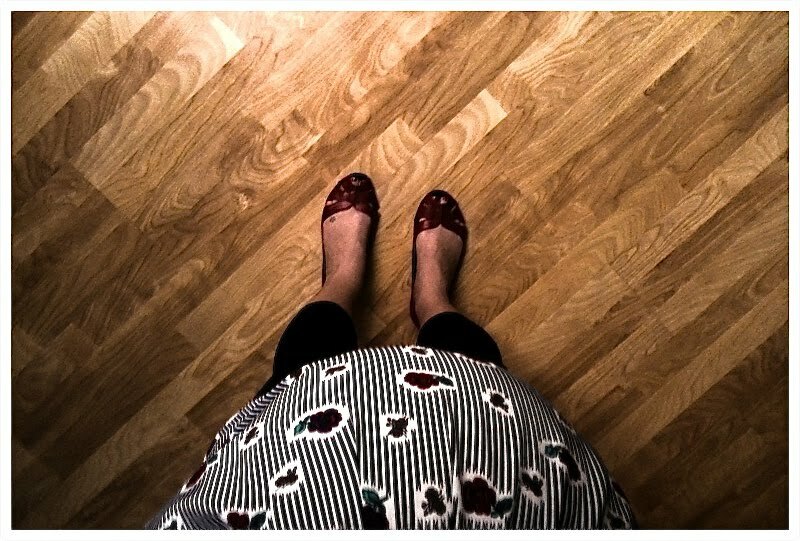 when i was pregnant, the only time my crazy pregnant lady hormones were undeniably legit, was when i was hungry. like seriously, don't mess with me legit. adding you on facebook, yay! Your house looks lovely! I am constantly redecorating and adding new things. Its so much fun! I will definitely add you pretty mama! I think the decals look great in the corner there. I would definately keep them if I were you. Kat: :o) yea we're gonna give it a few days and feel it out.. we like them, we just don't want the walls to get too cluttered. Ahhh! Love your adorable house! The furniture is fabulous! I wish I was as creative as you! My house is sooo generic! 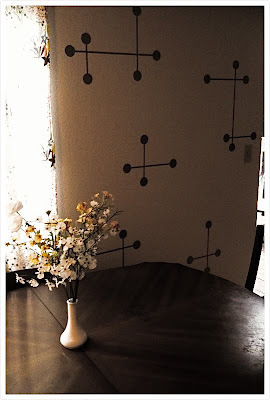 Love the decals in the living room and totally think you should keep them! Did they write your name on the cup? haha I usually get mine on the sticker thingy. Those are the cutest wall decals!! 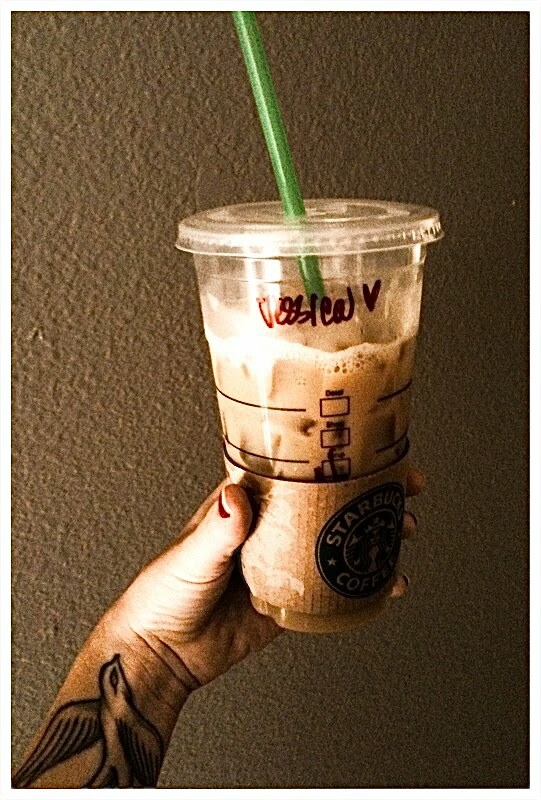 Nynga: yea they wrote on my cup <3 i actually used to work at that starbucks so it was one of my old coworkers that wrote it ;o) glad you like the couch! it was a salvation army score... it's a sectional and obviously part of the other couch there but we split them up cause its SUPER long put together. Jamie: thanks! i got them on sale from modcloth.com! um so I gotta say I love your entertainment center!!! I've been trying to find one just like that. I love it! Soda Pup: thanks! salvation army! You've got a fantastic Mid-Century Modern vibe going! So fabulous. 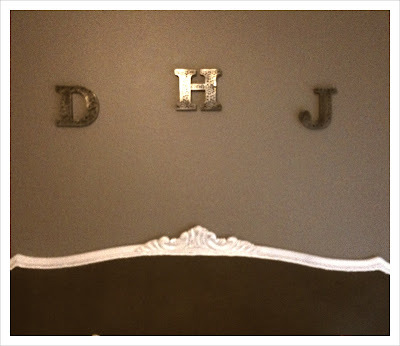 I dig the letters above the headboard idea...may have to snag that one. I just read your "initials" idea comment! that is so cute! I wish my husband liked working with letters..I always want to bring letters into my decorating and he always says no...I don't know what his deal is.